Rebuilding Place in the Urban Space: Planning programming by daypart, month, season: and Boston Winter Garden, DC's Holiday Market, etc. Planning programming by daypart, month, season: and Boston Winter Garden, DC's Holiday Market, etc. 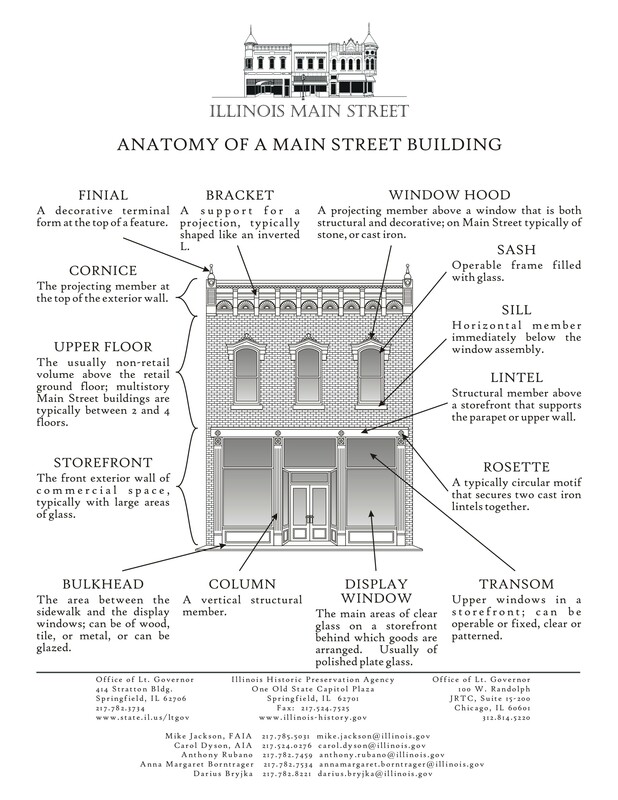 I was really proud years ago of applying to commercial district revitalization planning, the concept of "daypart" planning of the retail mix, activities, and programming, aiming to boost activation and patronage at different times of day, and days of the week. I discussed this in the plans I did for Brunswick, Georgia and Cambridge, Maryland (starting on page 15) and even came up with an okay graphic explaining it ("Daypart and age group planning in mixed use commercial districts"). 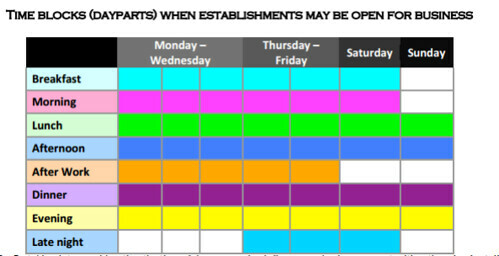 Daypart planning comes from hospitality, restaurants specifically--breakfast, lunch, dinner, happy hour, late night, etc., with special attention paid to weekends, such as for brunch, late night entertainment, etc. 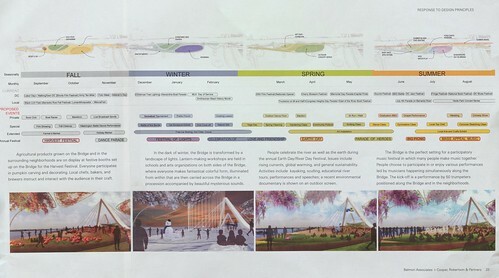 In the proposals for the 11th Street Bridge Park, one of the design teams came up with an expanded framework that takes a broader perspective and I think it's a great model for programming for organizations of all types, from commercial districts to public markets. For a place like Eastern Market, you could add food-related dates as a special category (National Apple Day, National BBQ Day, etc.) and separate into distinct categories food-related and culture-related programming. In "A "maintenance of way" agenda for the walking and transit city," "Night-time safety: rethinking lighting in the context of a walking community," and "Planning for Winter Weather," among others, I discussed the impact of weather and night/light on certain elements of the urban built environment as it relates to the sustainable mobility platform and the City. CRAIG F. WALKER/GLOBE STAFF. 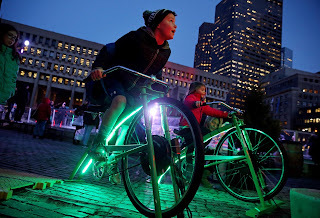 Brandon Comeau, 10, of Rockland, pedaled a stationary bike to light a Christmas tree. Programming for winter, beyond an ice skating rink--although that always helps, takes these ideas further. Over the years, Boston has had a hard time programming its City Hall Plaza because of its design and size, but this winter, they have begun programming it as a "Winter Garden" ("After delay, Boston Winter opens on City Hall Plaza" and "Is ‘Boston Winter’ the best thing to happen to City Hall Plaza?," Boston Globe). 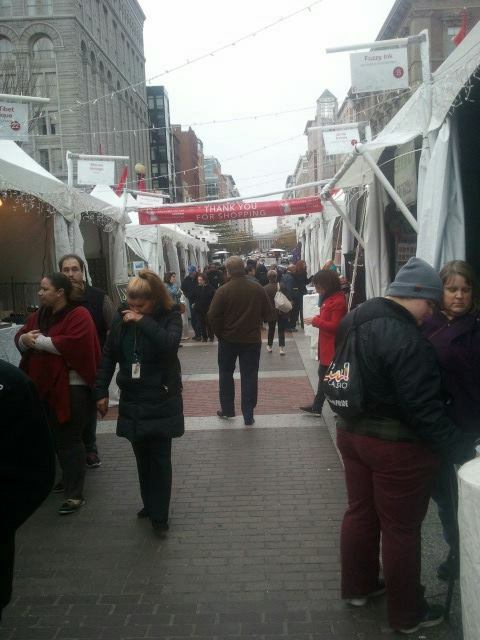 Similarly, DC's Holiday Market by the Smithsonian's Reynolds Center, the International Spy Museum, and the Verizon Center, activates Downtown DC in a similar fashion. Programs like this leverage existing sites and attractions by providing programming and extending the range of activities that attracts people to downtown and engages them for longer periods of time. 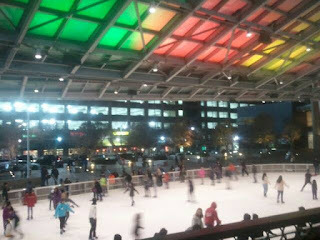 Note that somewhat uniquely in the Washington Metropolitan Area, Downtown Silver Spring, anchored by Veterans Plaza,which in the winter has an ice rink, but a lot of unprogrammed or "flexible" space, and nearby retail, is a public and commercial space that stays active from morning to evening ("The layering effect: how the building blocks of an integrated public realm set the stage for community building and Silver Spring, Maryland as an example"). 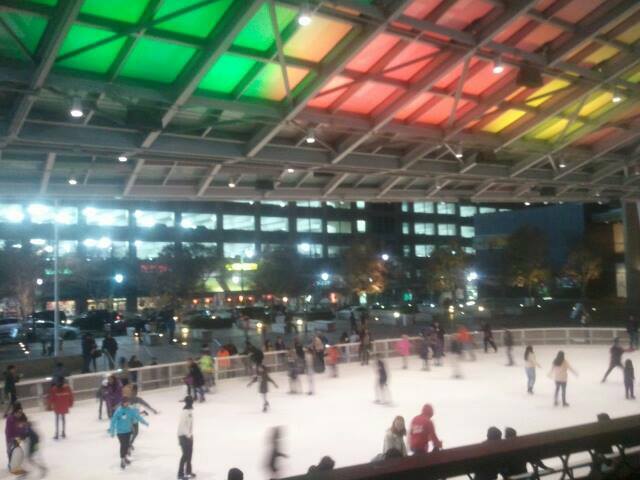 Silver Spring Ice Rink at night. This article from the Philadelphia Inquirer discusses how adding "entertainment" to commercial centers broadens their appeal.